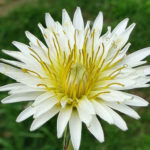 Taraxacum albidum it is a perennial herbaceous plant, sometimes mistaken for Taraxacum coreanum. 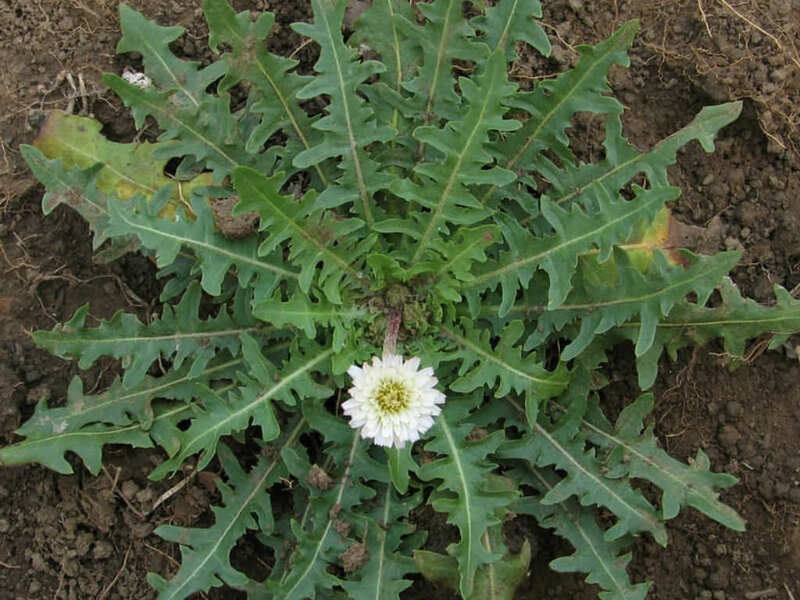 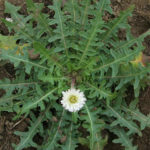 The deeply lobed leaves of this tap-rooted perennial plant form a basal rosette from which the long, slightly downy, unbranched flower stalks rise up to 16 inches (40 cm). 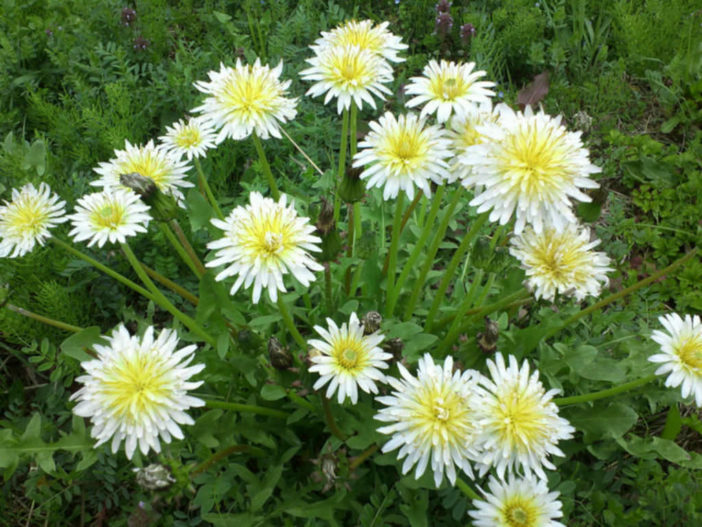 It blooms once a year, usually in spring, but sometimes in late autumn. 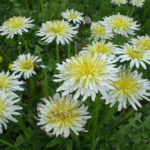 Each scape bears a single flower-head consisting of many small, white ray florets, opening from a rounded bud consisting of narrow green bracts. 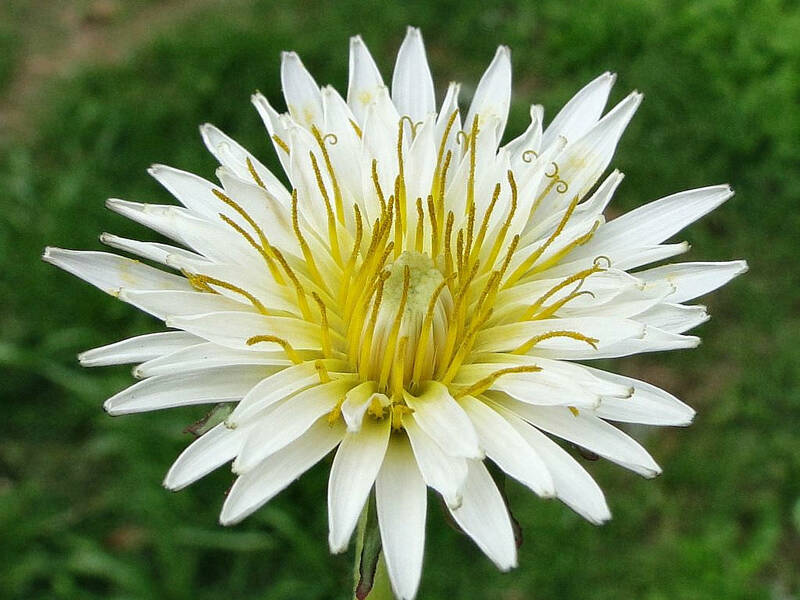 The flowers are hermaphrodite and self-fertile. 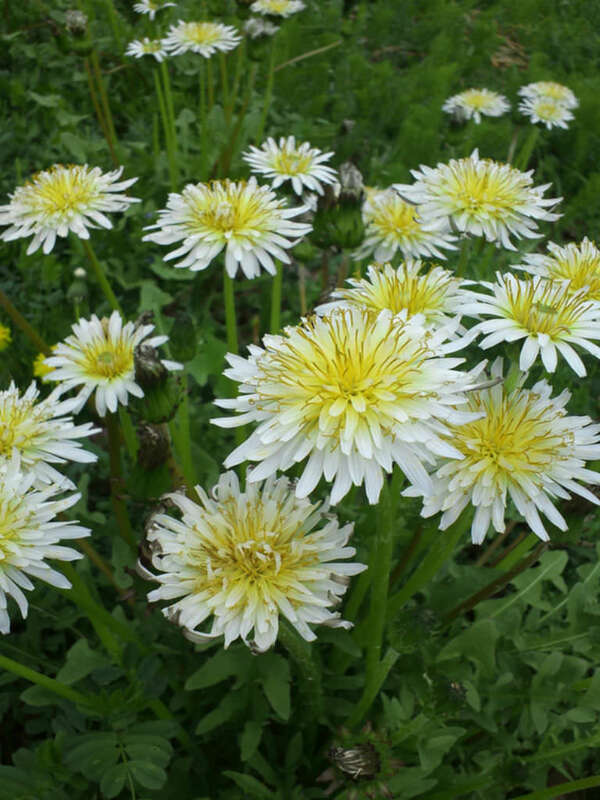 Native to the southern part of Japan.